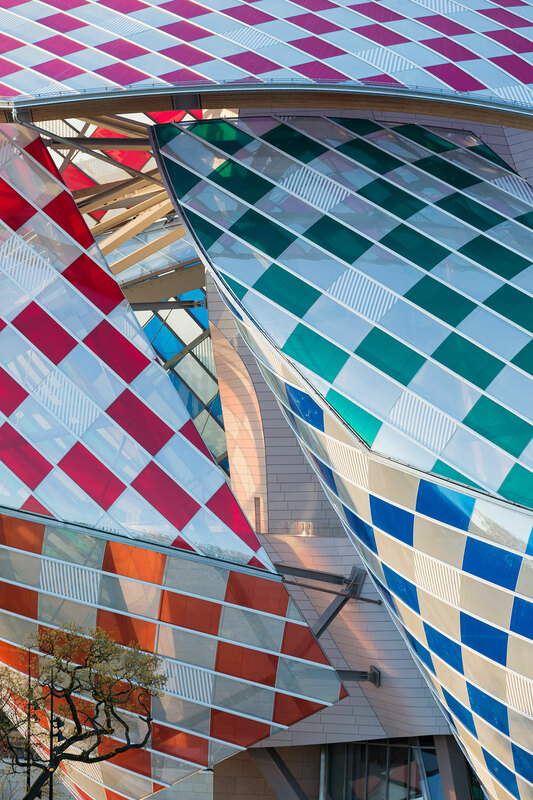 Louis Vuitton continues to cultivate a fruitful ménage à trois between the worlds of art, architecture and fashion with their latest large-scale collaboration between French artist Daniel Buren and its iconic Fondation Louis Vuitton. Trust us when we say it’s well and truly lit. 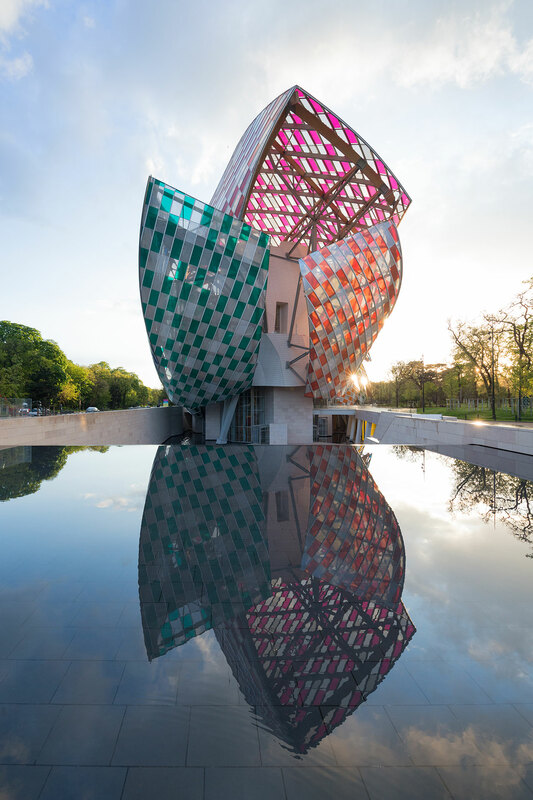 Frank Gehry’s magnificent building will act as a kaleidoscopic canvas for Buren’s latest work, Observatory of Light, wherein the 12 sails and 3,600 glass panels of the building will be covered with equidistant filters rendered in jewel tones alternating with the artist’s signature black-and-white stripes, completely transforming the building that houses both the label’s ready-to-wear shows and its contemporary arts collection. 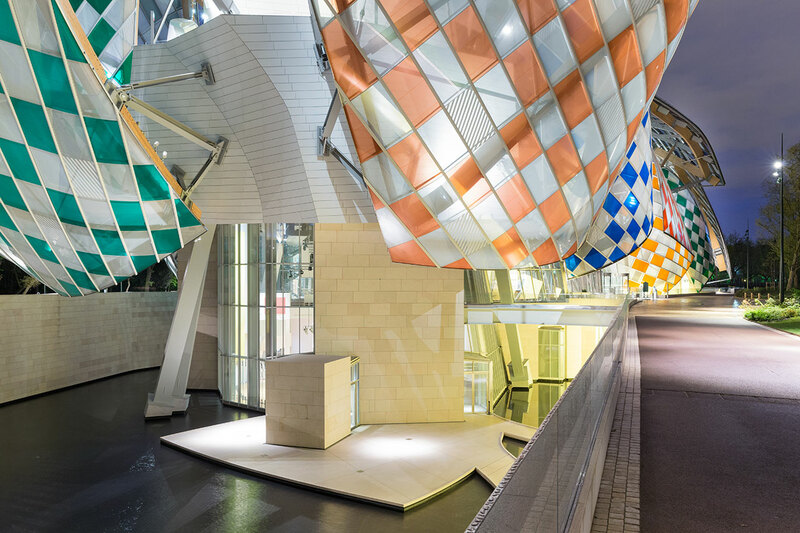 President of Fondation Louis Vuitton and CEO of LVMH, Bernard Arnault, described Buren’s latest in-situ project as “pertinent and enchanting, the result of a real dialogue with Frank Gehry and his building. Creative director Nicolas Ghesquière will further strengthen Vuitton’s ties to the art world when he presents the brand’s Resort 2017 offering on May 28 at Rio de Janeiro’s futuristic Niterói Contemporary Art Museum. 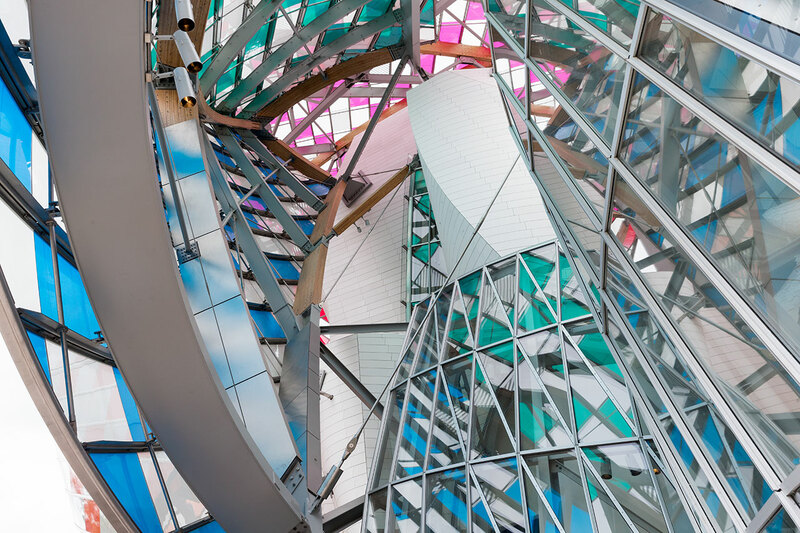 Buren’s Observatory of Light will be available to view from May 11, should you be so lucky.